It’s often difficult to teach interpretive techniques and principles to others when you may have not had any formal training in interpretation yourself. The course provides ways to develop and deliver interpretive training courses and workshops for cultural sites and staff charged with developing interpretive training for their docents, volunteers, seasonal interpretive staff, or full time interpretive staff. 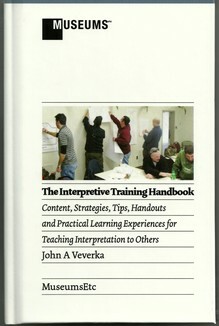 This course includes a copy of our new e-textbook, the Interpretive Trainers Handbook. - Have interpretive training program lesson plans and schedule of instructions drafted out. - Have a working knowledge of key interpretive elements they should be teaching.